For this, Arya College of Engineering and IT is organizing India’s Largest Media Hackathon in association with Incubate India on 24th and 25th March 2018 at Arya 1st Old Campus. This event will help in defining various problems and allow students to contribute to building different solutions for the improvement in Digital technologies particularly Mobiles within the duration of continuous 30 Hours. In this, students from varied backgrounds, Journalists, News organizations and other invited participants aims to generate new solutions for Mobile Content Consumption and better user experience. The main aim of the event is to create new and innovative formats of text, photo and video so that the format of the news could become more creative and provide better services to the user. Also, it will provide new prototypes to the publishers to work upon. 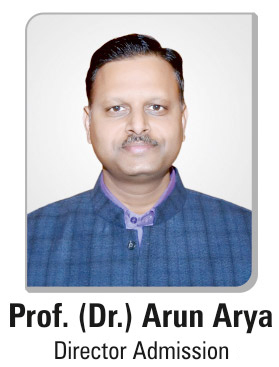 The hacking track at Arya College will be prepared for the participants to dive into problems. Often groups of 2-5 individuals from around a project, such as building a new data visualization, writing a document, or collaboratively investigating a problem. Participants can begin hacking problems with project introductions. The event will start with an Inauguration function. The activities at the event include three Check-point sessions and seminars. At the second day, there will be a Final Submission round and the program will end with a valedictory function where the person with best skills will win. Students, Professional developers, Hardware/ Software enthusiasts, Embedded system developers and anyone from the maker community who wants to turn their idea into reality can participate in the Media Hackathon. Also, the expert panel will provide problem statements for your disruptive ideas. The event comprises of various teams in which 2-5 members can participate and work as a team. Each team have to come up with the new and innovative ideas but the team with copied or irrelevant idea will be disqualified directly from the competition. In this, participants or teams are allowed to use open source libraries and other freely available systems/services such as Google Maps, Facebook Connect, Twitter feeds etc. Selected teams will be judged on the basis of their overall performance made in 30 Hours of the competition/ Hackathon.